The chairman of Forbes Travel Guide is digital media pioneer Jeff Arnold, who is the visionary behind Forbes Travel Guide and the co-founder, chairman and CEO of Sharecare, a digital health company he founded with Dr. Mehmet Oz that helps people manage all their health in one place. In 2005, Arnold purchased the rights to Mobil Travel Guide, a well-known series of regional guidebooks that Mobil Oil had published since 1958. The guides provided independent ratings of hotels, motels and restaurants in North America. Arnold had the vision to transform the collection into a digital guide and globalize the Star Rating system, with a focus on luxury hospitality. By 2009, he evolved Mobil Travel Guide to Forbes Travel Guide, in partnership with Forbes Media LLC. 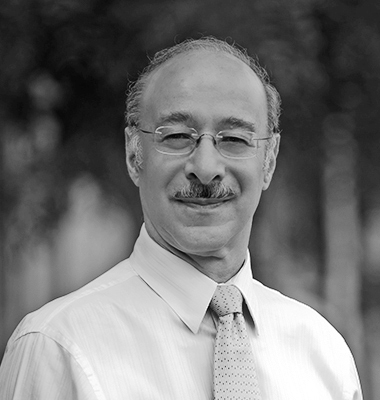 Prior to founding Sharecare and Forbes Travel Guide, Arnold was chairman and CEO of HowStuffWorks.com, an award-winning online resource used by millions of people each month, which he sold to Discovery Communications, where he served as chief digital strategy officer, as well as chief architect of The Curiosity Project until December 2011. In 1998, he founded and served as CEO of WebMD, the first healthcare company to harness the power of the Internet to create a unified destination for consumers, healthcare institutions and physicians to find trustworthy medical information. Prior to WebMD, Jeff founded Quality Diagnostic Services (QDS), a cardiac arrhythmia monitoring company, one of the first companies to use the concept of telemedicine over 25 years ago. Arnold has been honored for his innovative contributions to media, technology and healthcare, including the 2016 Blumenthal Award by Johns Hopkins University which recognized his exceptional ability to bridge business and technology. Additionally, he was inducted into the Honor Society of Nursing, Sigma Theta Tau International, as an Honorary Member for his superior achievements and contributions to the advancement of nursing and health care on both a national and global level. Arnold also has been honored by the World Economic Forum; inducted into the Technology Hall of Fame of Georgia; named Entrepreneur of the Year, Southeast Region by Ernst & Young; and received the prestigious Phoenix Award, which recognizes companies and individuals who embody strength, tenacity and leadership in Georgia’s healthcare information technology industry. 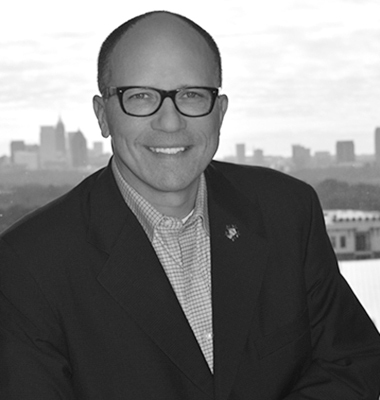 Currently also chairman of Endeavor Atlanta, Arnold also has served on numerous boards for public, private and charitable organizations over the years. Jerry Inzerillo is a celebrated visionary recognized for his trademark innovation and his extensive network of global contacts in tourism, hospitality, entertainment, business and governmental affairs, cultivated during his five-decades-long career. During this time, Inzerillo has developed, positioned and operated some of the world’s most famous and successful lifestyle brands in tourism and entertainment. In June 2018, Inzerillo was appointed by HRH The Crown Prince Mohammed Bin Salman of the Kingdom of Saudi Arabia to be the first CEO of the newly created Diriyah Gate Development Authority. This authority is empowered to master plan the 67-kilometer UNESCO site of the first Saudi state into one of the great gathering places in the world. As CEO of Forbes Travel Guide from 2014 to 2018, he was successful in the globalization from the company’s North American origins to more than 100 countries worldwide. The Forbes Travel Guide Five-Star Award is universally accepted as the Olympic gold medal of hospitality. Previously, his leadership led to the conceptual success of breakout brands such as Atlantis, One&Only Resorts, Ian Schrager Hotels, Four Seasons and Hilton Hotels. 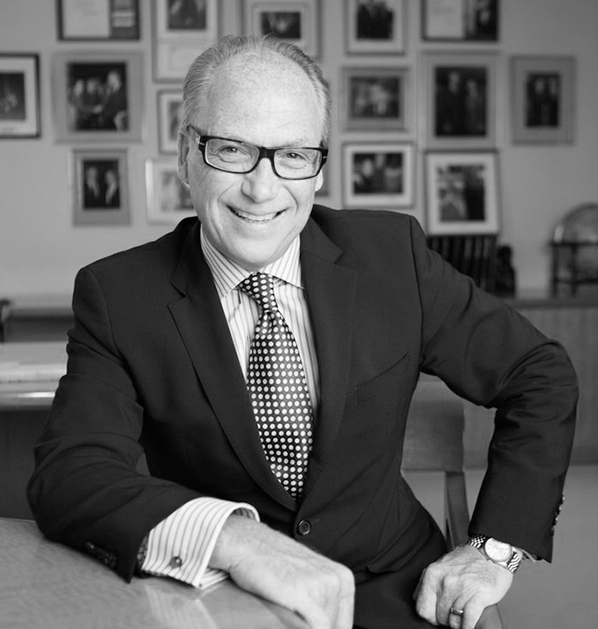 Inzerillo was president and CEO of IMG Artists, the global leader in artist management, performing arts and lifestyle events planning from 2012 to 2014. At IMG Artists, he directed global strategies for music, events, festivals, government consulting and artist and facility management businesses. 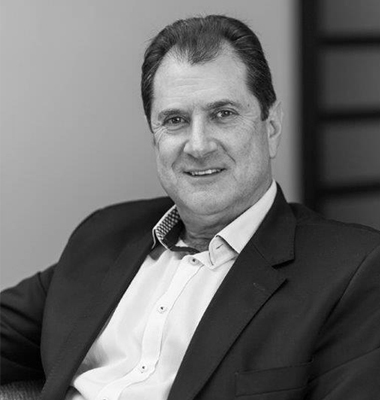 From 1991 to 2011, Inzerillo was president of Kerzner Entertainment Group, where he raised the profile and positioning of its properties in South Africa, the Bahamas, Dubai, Morocco, Mauritius, Mexico, the Maldives, as well as conceptualized and positioned the start-up of its One&Only brand and Atlantis. He oversaw the now-legendary launches of The Lost City at Sun City in South Africa, Atlantis in the Bahamas and Atlantis, Dubai, considered to be the most covered hotel resort opening of all time. And from 1991 to 1996, Inzerillo served as COO of Sun City, the South African resort complex by Sol Kerzner. In 1987, he was the founding president and CEO of Morgans Hotel Group, later rebranded as Ian Schrager Hotels. While there, he conceptualized and opened Morgans, Royalton and Paramount in New York; the Delano in Miami Beach; and Mondrian in L.A.
A luxury hospitality career spanning more than three decades has led Forbes Travel Guide CEO Filip Boyen everywhere from Bora Bora to Moscow to Peru. Before joining Forbes Travel Guide in 2018, Boyen served as CEO of Small Luxury Hotels of the World, where he oversaw a portfolio of more than 520 exceptional independent hotels in 80 countries. Prior to that post, the Belgium native spent 18 years with Orient-Express, the famed precursor to the Belmond brand. First joining the hospitality company as general manager of Bora Bora Lagoon Resort in Tahiti, he rose through the ranks to become executive vice president and chief operating officer of Orient-Express. In between, his various roles included Group Vice President Operations; Regional Vice President, Africa, Australia & Latin America; and Managing Director, Hotels & Trains. Boyen began his hospitality career as a commis chef and stayed in the food and beverage side of the business for 10 years, working in Michelin-starred restaurants in Belgium, France and England. He even did a stint under French master chef Joël Robuchon. His extensive background in food and beverage, experience managing complex operations—including trains and ships—and luxury hospitality expertise all harmoniously combine at Forbes Travel Guide. 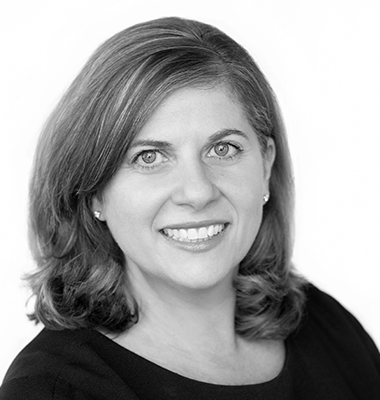 As Forbes Travel Guide's Executive Vice President of Standards & Ratings, Amanda Frasier oversees the coordination of the global evaluation schedule and subsequent data analysis for all incognito ratings evaluations. Frasier serves as chairman of the Forbes Travel Guide Standards Advisory Committee and oversees the continual refinement of Forbes Travel Guide's service and facility standards. 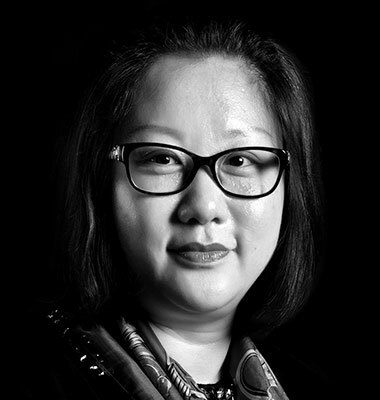 She plays a key role in all international expansion efforts and has also spearheaded the execution of past new market launch projects, including London and Shanghai. Prior to this role, Frasier was the director of Executive Training for Forbes Travel Guide's consulting division and served as an inspector. Before working for Forbes Travel Guide, she spent 13 years in hospitality operations. The Solihull College hospitality graduate was born and raised in London and now resides in Atlanta. Peter Kressaty oversees the Global Partner Services Team at Forbes Travel Guide, a culmination of 25 years of extensive experience in hospitality. He began his career with Hyatt Hotels Corporation in various capacities, including sales, marketing, operations and hotel development. 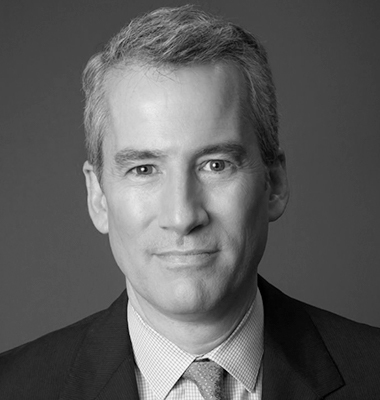 He rose quickly through the ranks at iconic and well-respected institutions, serving as General Manager of The Lowell in New York, Clubhouse Manager of The Yale Club of New York City, Senior Vice President of Carino Hotels and Regional Director of The Preferred Hotel Group. Kressaty remains very involved with his Alma Mater, Fairleigh Dickinson (New Jersey), as well as Wroxton College (England), serving as the Global Fund Raising Chair on its Advisory Committee for eight consecutive years. His experience at Wroxton ignited his desire to travel and piqued his interest in the hospitality industry. Kressaty shares his passions of travel, skiing and squash with his wife, Amy, and their three sons. Yona He Poda oversees all aspects of business development, operations, PR and strategic expansion of Forbes Travel Guide's Star ratings in Asia Pacific. With the company since 2009, she launched the ratings in 11 countries with 27 destinations throughout Asia Pacific. 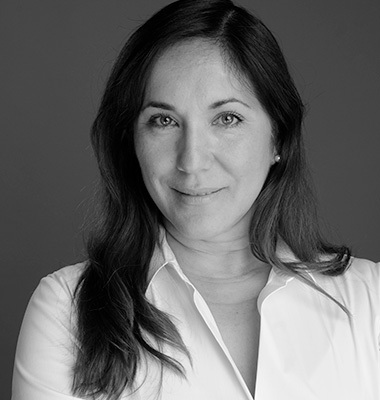 She has a wealth of global experience across North America, Hong Kong, Singapore, Indonesia and mainland China. Throughout her 23-year career, she's held management roles in Four Seasons Hotels & Resorts, Louis Vuitton and Charter One Bank. At Four Seasons, she was part of the pre-opening team of the flagship Hong Kong property and received numerous recognitions in North America and Asia Pacific. The Chicago native was born in Guangzhou and resides between Hong Kong ‎and Jakarta. She speaks fluent Cantonese and proficient Mandarin. Before managing relationships for Forbes Travel Guide in the Midwest and Western regions of the U.S., Jennifer Lodge held various roles in the company, including facility inspector, trainer and vice president of consulting operations. Prior to joining Forbes Travel Guide, Lodge founded and owned The Professional Guest, a performance evaluation company that specialized in building repeat hotel business through an enhanced guest experience. She also previously worked for Marriott, where she helped open new properties throughout Southern California and Arizona. Lodge was nationally recognized as Marriott's Sales Person of the Year. She earned her degree in hotel, restaurant and institutional management from Michigan State University's school of business and traces her passion for the industry back more than 30 years, when she worked as a room attendant at a property along the shores of Lake Michigan. Samira Demeis brings a wealth of world class, seasoned experience in hospitality to lead Forbes Travel Guide's expansion into the Middle East and Africa. Most recently, Demeis spent 15 years with Hospitality Marketing Consultants (HMC) in the Middle East, where she successfully guided hotel partners to grow profits and increase their market share. Her background includes significant international exposure serving in a variety of senior management positions. 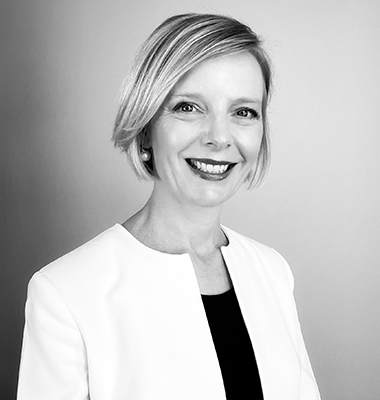 Initially working with Best Western Australia in the role of National and International Sales and Marketing Manager, she later joined Accor and moved through the ranks from Director of Sales and Marketing, to Executive Assistant Manager, and ultimately General Manager. From there, Demeis resided in Korea and China while serving as Director of Business Development and Executive Assistant Manager for the Hilton Group. 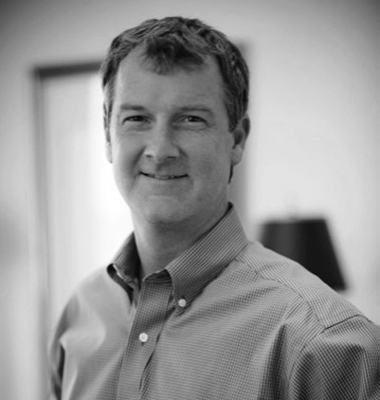 Chris Fradin brings 17 years of hospitality and marketing experience to Forbes Travel Guide's presence in Europe. 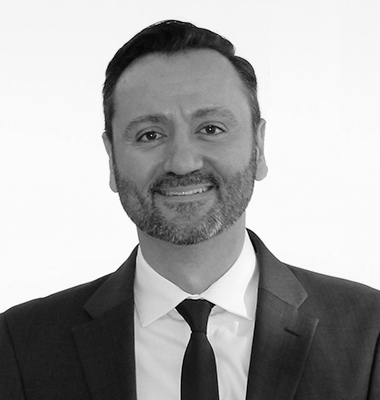 Fradin joined Preferred Hotel Group in 2006, tasked with driving the organization's marketing programs across Europe, Middle East and Africa. 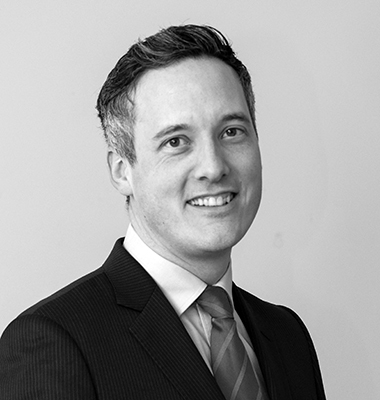 From 2009 to 2013, he headed up the London office as regional director (covering the U.K., Ireland and the Nordics). His broader commercial role focused on the overall relationship with member hotels, together with developing new business opportunities for Preferred Hotel Group. Fradin lives in London. 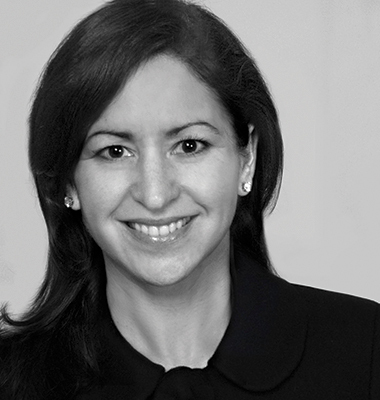 Lourdes Hainlin joined Forbes Travel Guide in 2014 to lead the expansion of the Star Rating system in the Caribbean, Mexico, Central America and South America. Prior to Forbes Travel Guide, Hainlin held various leadership roles with Starwood Hotels & Resorts and Denihan Hospitality Group. In the latter part of her 14-year tenure with Starwood Hotels and Resorts, she launched the Starwood Resort Collection, Caribbean & South Florida. Most recently, she oversaw the expansion of The James brand in Miami and the launch of The James Royal Palm Miami-South Beach, after a $50 million renovation and reflag of this historic property. Hainlin was born in Cuba and immigrated with her family to New York at an early age. The Florida International University graduate speaks fluent Spanish and has a working knowledge of Portuguese. She resides in Miami. 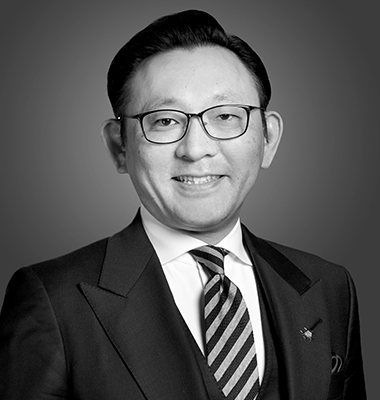 Ryo Koike brings more than 23 years of luxury hospitality experience, including rapidly moving up the ranks from operations to director of sales of three Four Seasons Maldives properties. Koike's background of luxury properties extends across brands such as Four Seasons, where he worked for 11 years, Hyatt, Mandarin Oriental, Nikko Hotels and Okura Hotels as well as across countries. Koike has lived in Maldives, Singapore, Hong Kong, Taipei, Shanghai, Beijing, New York, and Alsace, France. His native home is Tokyo, and he now resides in Hong Kong. Koike speaks four languages; he is fluent in Japanese, Mandarin and English with a working knowledge of Cantonese. 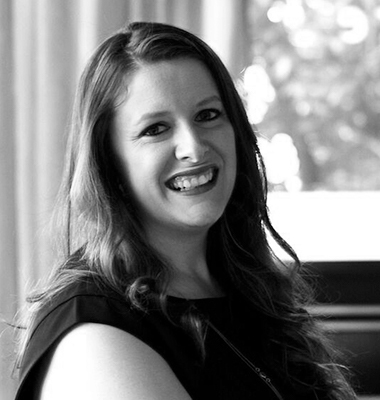 Jessie Law joined Forbes Travel Guide with over 16 years of hospitality industry experience, more than a decade of which was spent driving global sales and business development in the Asia Pacific market. Launching her career with Hyatt in 2000, Law was rapidly promoted into leadership positions within the corporate office. 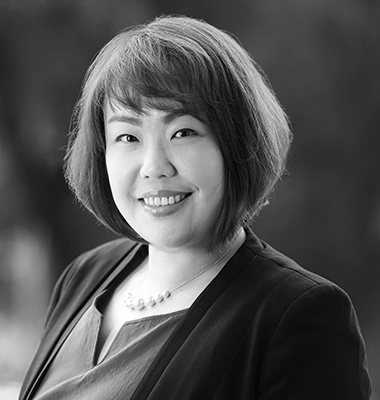 As Hyatt's Global Sales Director for the Asia Pacific region, she focused on increasing revenue across all segments and establishing new business, primarily for outbound opportunities in Hong Kong, Korea and Thailand markets. 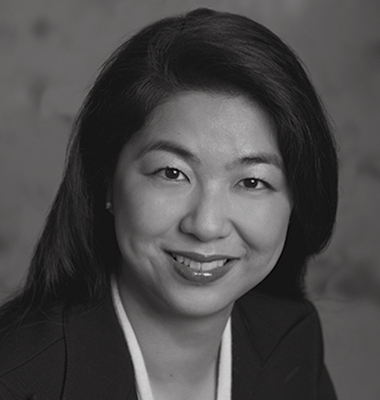 Law later became the Director of Corporate Business Development for Shangri-La Hotels and Resorts, where she acquired extensive knowledge of the mainland China market. Born in Hong Kong, Law is a native Cantonese speaker, is fluent in Mandarin and English, and has a working knowledge of Korean. Jennifer Kane McGee is a luxury hotel professional with diverse background, including many unique accomplishments in both global sales and luxury hotel openings with both strategic and operationally driven successes. She began her career at Hyatt International Hotels, and subsequently served in management positions at brands such as Four Seasons, Mandarin Oriental, Ian Schrager and Langham. 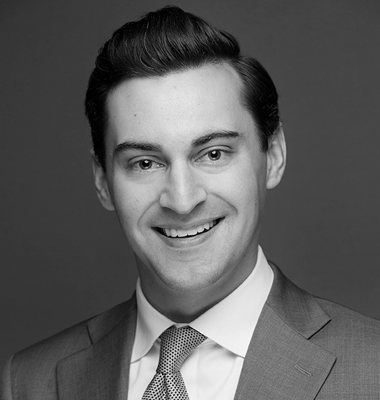 Kane McGee was a director of sales during the opening and ramp-up of Gramercy Park Hotel and The Surrey, respectively. Jeff Rosenberg brings more than 40 years of executive hospitality leadership experience in Africa to his role overseeing the strategic advancement of Forbes Travel Guide’s Star Ratings in the region. 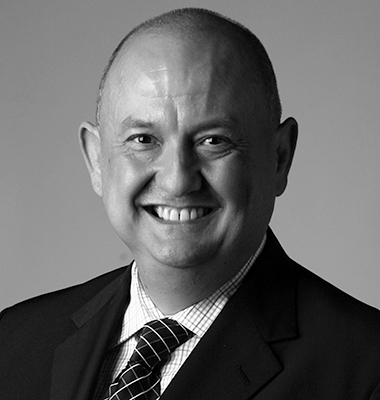 For the past three decades, Rosenberg served as general manager for numerous properties in southern Africa, including most recently the well-known Southern Sun Waterfront in Cape Town. He has also managed sprawling golf and entertainment resorts, timeshare properties and casino hotels in the area. Throughout his career, he has been heavily involved in the business and civic side of the industry. A past president of the Rotary Club at Sun City, Rosenberg has served as chairman on many hospitality, tourism and educational association boards as well as advisory committees. He also has been instrumental in leading initiatives such as water conservation by ultra-luxury hotels in drought-prone areas like South Africa. 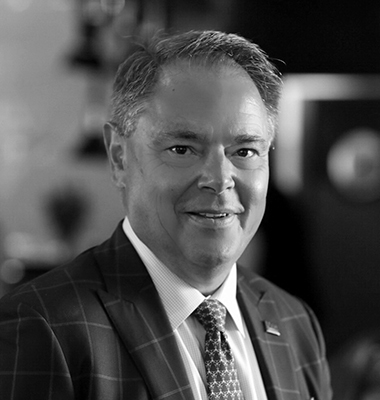 David Tyson has spent the past thirty-five years as an industry leader in the private club and resort sector, working in executive roles for such iconic brands as Ritz-Carlton Resorts and Residences, and Club Corporation of America, as well as distinguished private equity clubs. Tyson has built a reputation over his career for strategically repositioning, stabilizing and growing hospitality assets. In his most recent tenure, Tyson served as Chief Executive Officer for Dorado Beach Resort and Club, a 1,500 acre resort and Forbes Travel Guide Five-Star partner first developed by Laurence Rockefeller. He is an active member with the Club Managers Association of America (CMAA) for the past 31 years. Stephen “Steve” Karoul is recognized as a leading casino marketing professional, offering expertise on international business and every segment of casino marketing. He is a seasoned casino executive with over 37 years of hands-on experience at the best casino resorts in the world. Karoul was part of the senior management team that opened the $5.5 billion Marina Bay Sands Casino in Singapore and is the past President & CEO of the Ciragan Palace Casino, located in an original Ottoman Empire palace in Istanbul. As the Executive General Manager International Marketing, he was instrumental in positioning the world-famous Sun City Casino Resort in South Africa. Karoul has also held leadership and consulting positions at many well-known casinos in North America, including Foxwoods Casino Resort, the Mohegan Sun Casino, and the Greenbrier Casino Resort. 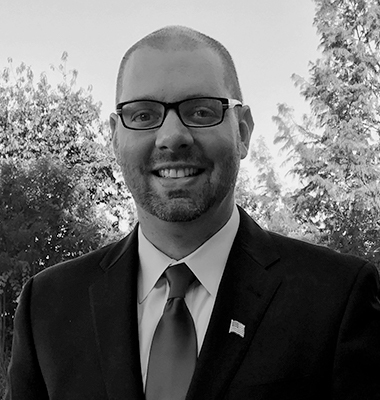 Since joining Forbes Travel Guide in 2005, Jeff Wielgopolan has served as the senior manager of the Quality Assurance Division, an incognito inspector and now senior vice president of Learning and Development. In his current role, Wielgopolan works with the finest hotels, restaurants and spas across the globe to improve service, staff confidence and knowledge, and to further properties' understanding of Forbes Travel Guide Star Rating Standards. Prior to his tenure at the company, he worked at Four Seasons Hotels & Resorts and was the dining room director at Tru. He is certified under the Court of Master Sommeliers and served as a panelist for the Cornell Hotel School's Hospitality Research Summit. Wielgopolan is an Honorary Member of Les Clefs d'Or, and was the Educational Speaker for the group's annual International Congress in 2013 and 2015. 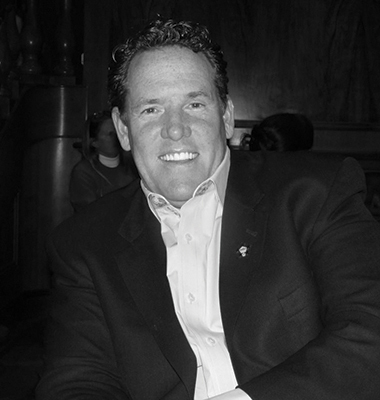 Jim McPartlin began his career in management training at the Walt Disney Company in 1985. He would later spend 10 years with Kimpton Hotels & Restaurants in San Francisco, in a variety of positions including area director of operations and vice president of human resources. McPartlin has worked with W Hotels Worldwide, opening W Hollywood, and serving as director of brand operations for the western region and general manager for both W San Francisco and W New York - Times Square. He has also held senior-level positions with André Balazs Properties and the Ian Schrager Company. Training has always been a passion for McPartlin. He considers mentoring to be of the highest calling and proudly points out that he keeps in touch with many of the managers who worked for him over the years and have gone on to illustrious careers. Starting as one of the first Forbes Travel Guide trainers when the consulting division was formed in 2005, Gina Taylor has since guided a vast array of star-rated hotels, restaurants and spas to raise the bar and deliver elevated levels of service. Taylor served as Vice President of Consulting Operations, where she oversaw Quality Assessments and Learning & Development programs. Later, she focused on enhanced partner management as Director of Client Services, working with properties from a corporate brand standpoint. In her current role as Vice President, Training Services, she remains passionate about empowering others and continues to foster strong relationships with such distinguished hotel partners as Dorchester Collection, Mandarin Oriental, and Four Seasons Hotels and Resorts. 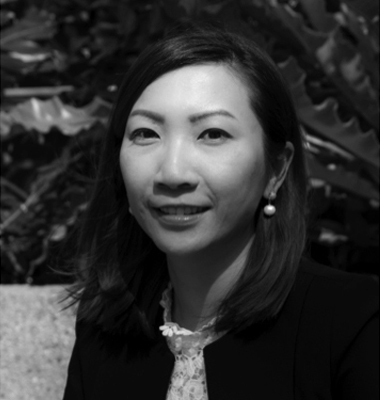 Angelina Phua has a strong foundation in hotel operations and a rich on-property experience across a range of full-service and luxury brands, including Swissôtel, Marriott, Sheraton and St. Regis. She has worked within a variety of departments including food and beverage, rooms, conference services and sales, and marketing. 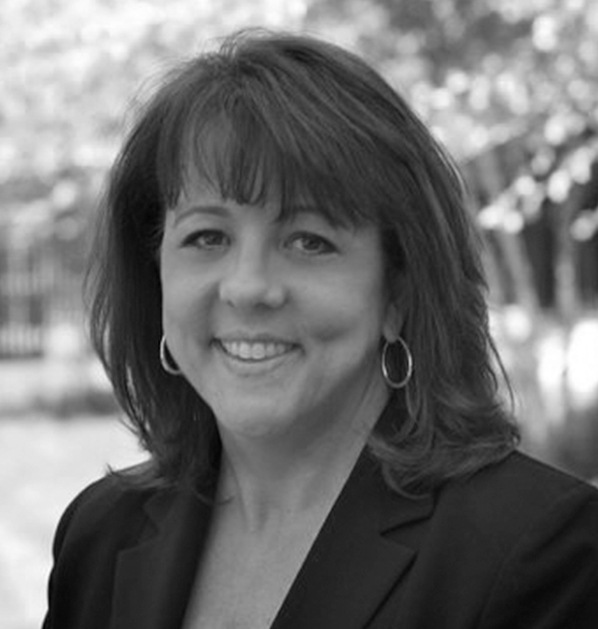 As a consultant, she guided many hotels to build strong reputations through the implementation of high-impact training, staffing, evaluations and assessments. After working at Starwood and Marriott properties in Singapore and the United States, Phua joined Hotel IQ where she led hotel management teams to improve their services and meet brand requirements. She later worked with LRA by Deloitte, where she was responsible for the development of QA programs for highly esteemed hotel brands including Starwood, Banyan Tree Hotels and Resorts, Accor Hotels, Preferred Hotels and Resorts, Worldhotels, and Wyndham Hotels and Resorts. 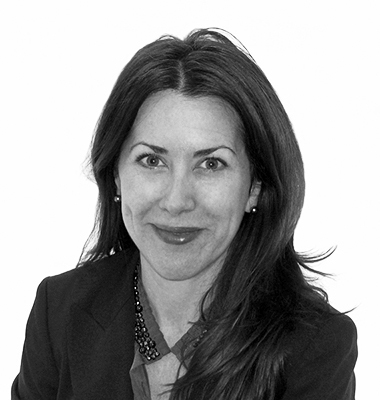 Megan Torrance has spent over 15 years working extensively in luxury property operations. From large, prestigious resorts to small Relais & Châteaux hotels, Torrance has garnered broad management experience across virtually every operational function, including executive management roles at star-rated properties. Driven by the vision of delivering outstanding service, she has been singularly instrumental in leading hospitality teams in the application of Forbes Travel Guide standards. Torrance's passion for luxury hotels and service led to a degree in Hospitality Business and then a career starter on the food and beverage team at the Four Seasons. While working in Telluride, Colorado, she progressed onto a management path that brought her experience across every operational outlet, and included overseeing a resort-based Homeowner's Association (HOA). From there, Torrance welcomed General Manager and Residence Manager positions at Lake Placid Lodge, the Point resort, and Calistoga Ranch, an Auberge Resort. Before joining Forbes Travel Guide, Silvia Nauta worked in some of the best hotels in the world. 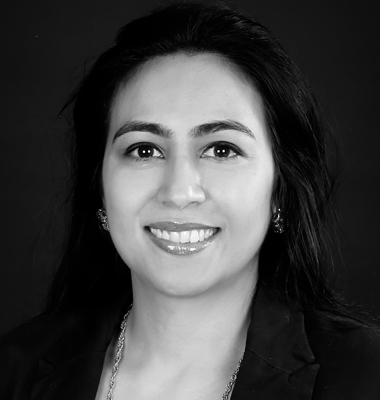 Nauta began her career at the iconic Four Seasons Hotel London at Park Lane and held various management roles in both housekeeping and front office departments. She later took the front office manager position at Acqualina Resort & Spa in Sunny Isles, Florida, where she concentrated on standardizing quality delivery in the division, as well as developing a service program for the residential component of the resort. 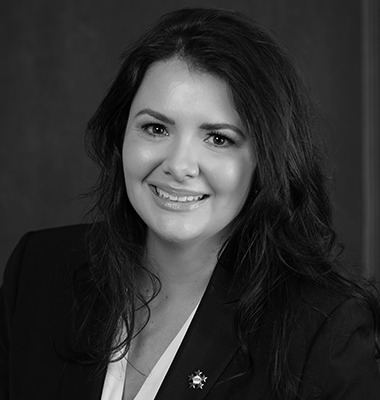 Nauta served as guest relations manager on the pre-opening management team at Mandarin Oriental, Las Vegas. Later as learning and development manager there, she focused on the hotel’s vision of obtaining three Forbes Travel Guide Five-Stars, which was achieved in 2012. During her time as director of training at The Breakers Palm Beach, Nauta was integral in establishing the training department, company service quality cycle and re-structuring the overall service focus. 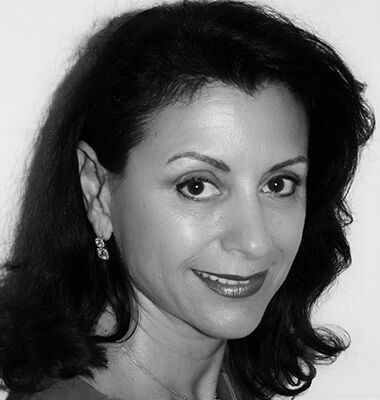 Samira Charbonnier has built long-standing relationships in the hospitality industry by consistently demonstrating strong influence skills and success in coaching multi-cultural teams. She spent a decade offering expertise in advisory, operations and international training efforts while serving as director of learning and development for global hospitality consulting firm Minds in Motion SA. 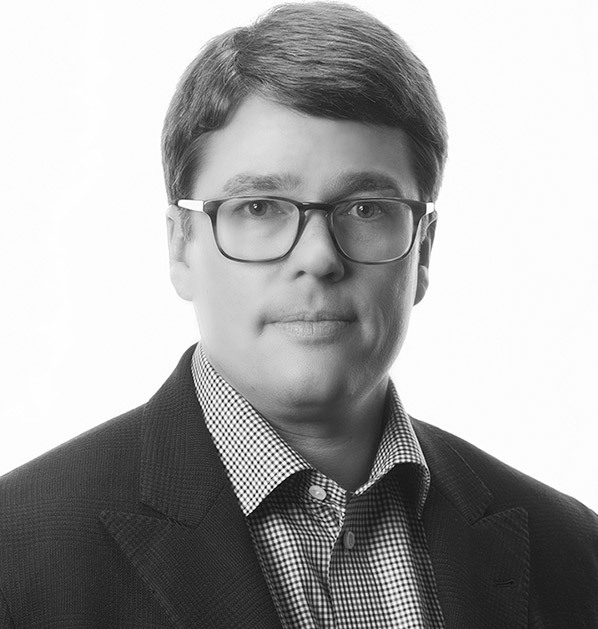 Charbonnier worked with international consulting and real estate investment banking firms PricewaterhouseCoopers (PwC) and Eastdil Secured as an adviser focused on hotel development, marketing and sales. Prior to that, she spent four years as food and beverage manager at Four Seasons Hotels and Resorts in the United States and Canada. Charbonnier has a deeply-rooted passion for coaching and is a certified Quality Coach for the Swiss Tourism Federation, a qualification based on Six Sigma principles. Joseph "Joe" Dupree is the third generation of his family to build a dedicated career in the hospitality industry. Prior to joining the Forbes Travel Guide team, he was the Regional Director of Talent Development for Hyatt Hotels Corporation. 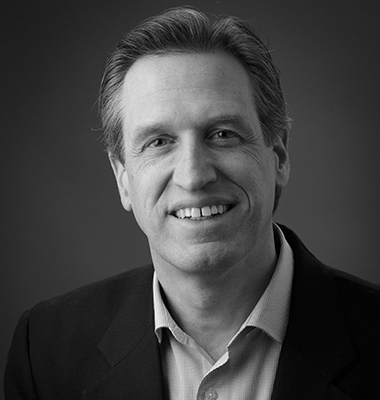 Over the course of his tenure with Hyatt, Dupree spearheaded development programs and training initiatives focused on service enhancement for 26 properties across the spectrum of the company's brands. Dupree also enjoyed a 15-year career with Four Seasons, holding management positions in both food and beverage and rooms divisions, in roles ranging from Assistant Executive Steward to Director of Rooms. While with Four Seasons, he lived and worked at properties in San Francisco, Chicago, New York, Philadelphia, Newport Beach and Austin. Passionately committed to talent development, Eduardo Duran possesses a keen understanding of hotel operations, which has led him to work with some of the foremost luxury companies in the industry. Duran served at Starwood Hotels in management positions in both front office and housekeeping, while at the same time earning designations such as Service Culture Trainer, Six Sigma Green Belt and POI (Power of Innovation) team member. He later worked at Ritz-Carlton properties across the United States in various roles, including assistant rooms executive. Duran was instrumental in the expansion of the James brand in Miami Beach and, as opening hotel manager for The James Royal Palm, oversaw the $50 million transformation and rebranding of this historic property. Most recently, he served as assistant general manager for Soho House and general manager for EB Hotel Miami. 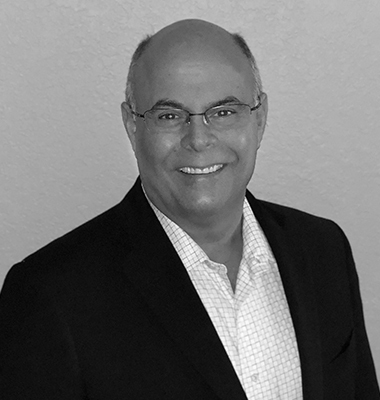 Rick Esparza is an accomplished strategist with more than 30 years of experience in training, service excellence and leadership development. He joined Forbes Travel Guide as an Inspector in 2013 and rapidly advanced to the role of Executive Trainer. 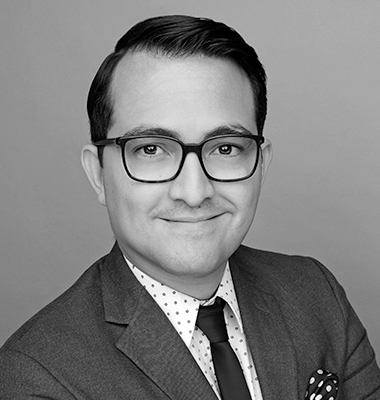 Esparza began his career at the Walt Disney Company in food and beverage and quickly developed a passion for cultivating talent. In his 15 years with Disney, he took on various assignments at Disneyland and the Walt Disney Studios. As a Training Manager for Disney University, he played a major role in the opening of Tokyo Disneyland and the expansion at the Disneyland Resort, earning the prestigious Spirit of Disneyland award. From 2008 to 2012, he served as Director of Training and Organizational Development at the former Grand Del Mar Resort in San Diego. Whitney Heeter's passion for cultural experiences, exceptional culinary cuisine and luxury travel converged to guide her to a successful and fulfilling career in hospitality. 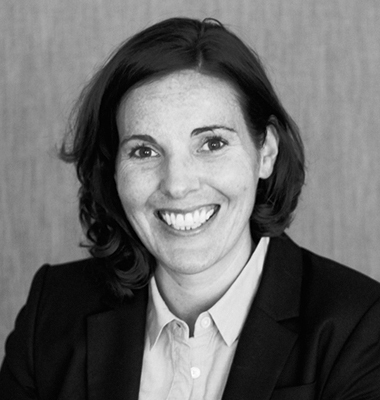 She has worked across a spectrum of property types, including large resorts, small Relais & Châteaux retreats and big hotel brands. As a concierge at the Sea Island Company, Heeter discovered her penchant for training while working with orientation teams to help develop and mentor staff. At the prestigious Inn at Little Washington, she served within every department and focused on standards to improve upon an already deeply ensconced culture of hospitality. Later, Heeter was the food and beverage manager at The Jefferson, Washington, D.C. and assistant general manager at Restaurant Eugene in Atlanta. 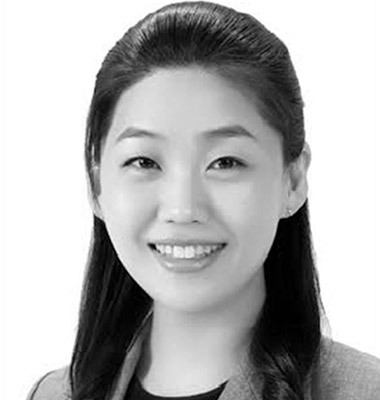 Jie Young Lee is an accomplished hospitality industry professional with extensive operational experience at renowned hotels and resorts around the globe. Through a decade of work at Four Seasons Hotels & Resorts properties in the Maldives and Hawaii, she developed a keen understanding of the unique needs of luxury customers and a firm grasp on how to provide them with consistent, exceptional guest service. Lee later joined LRA by Deloitte as a consultant to help hotel brands build strong, differentiated identities in their markets. During her time there, Lee worked with such brands as The Ritz-Carlton, Banyan Tree Hotels and Resorts, Starwood, and Hyatt International to implement strategies and training that resulted in greater customer satisfaction and loyalty. Inspired by culinary greats and sage hoteliers, George Polyard wields a deep enthusiasm for exceptional customer service and a penchant for motivating teams to provide it. From food service at a three-star Michelin restaurant and training at the Culinary Institute of America to front desk duties and management at Four Seasons Hotels and Resorts, Polyard has garnered a diverse knowledge of the hospitality industry. He spent more than five years with Four Seasons Hotels and Resorts, serving in a variety of management roles in the rooms division, and becoming an integral part of training and development initiatives. Most recently, he oversaw the guest services team at Four Seasons Hotel Las Vegas, and was selected to participate in the opening of Four Seasons Resort Oahu at Ko Olina, Hawaii. 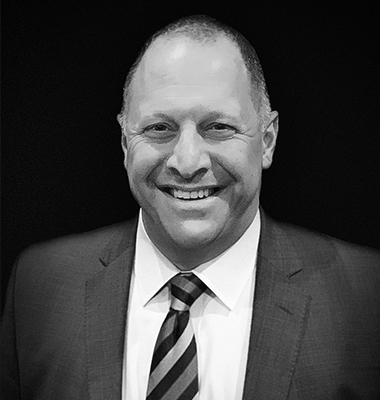 Jason Raimondi has had the distinct pleasure of cultivating a 20-year career in hospitality characterized by dedicated leadership roles and exceptional experience in training. His extensive background demonstrates proficiency across guest services, front office, resort operations, rooms division, learning and development, and human resources. He has taken part in multiple resort openings and launched global training initiatives that instructed thousands. A career start at The Walt Disney Company led to opportunities at Loews Hotels, Hilton Hotels and Resorts and InterContinental Hotels Group. While serving at these world-renowned companies, Raimondi oversaw entire training operations, supported multiple resorts as a regional learning and development manager, and was the training director for all resort operations at a flagship property. Josh Santos is a dynamic service culture evolution facilitator who has more than 20 years of dedicated hospitality experience with a strong emphasis in hotel operations and training. Endowed with a deep-rooted understanding of what it means to own the guest relationship, Santos is highly adept at helping individuals hone people skills that resonate powerfully with guests. Santos spent seven years at W Hotels leading within food and beverage and rooms divisions. He successfully oversaw several hotel department openings before eventually becoming a Service Culture Trainer. As the director of rooms for The Beverly Hilton, Santos implemented various training initiatives that served to maintain the property’s Forbes Travel Guide Four-Star rating. Most recently, he was the regional director of training at Loews Hotels, and a member of the hotel opening team. 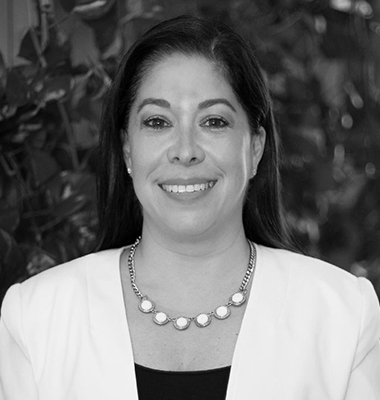 Erika Solano is a seasoned hospitality business executive and trainer with over 15 years of experience specializing in operations, learning and development, and driving high-quality organizational leadership. Working with prestigious companies such as The Walt Disney Company and Marriott International, she is recognized for applying 360-degree thinking and a consultative approach to overcoming the most common challenges in achieving the next level of guest service excellence. During her 13 years with The Walt Disney Company, Solano was part of important projects such as the opening and remodeling of Disney Vessels. She played a key role in the opening and operation of Aulani, a Disney Resort & Spa, where she served as the liaison between Department of Human Services and the Resort to ensure that all entertainment teams were trained to the highest standards. Most recently, she was the director of lifestyle and training at The Westin Grand Cayman, Seven Mile Beach Resort & Spa. Solano holds an MBA in International Hospitality and Service Industry from the renowned Glion Institute of Higher Education in Switzerland. Stacey Veden’s dedicated, 30-plus-year career reflects expertise across all levels of the house. A lifelong interest in hospitality was sparked when Veden served as a guest relations hostess and tour guide at Disneyland during college. She eventually found a home with Marriott International, leading in various disciplines — including sales and events, human resources and university relations — and representing all 30 brands in the company’s portfolio. 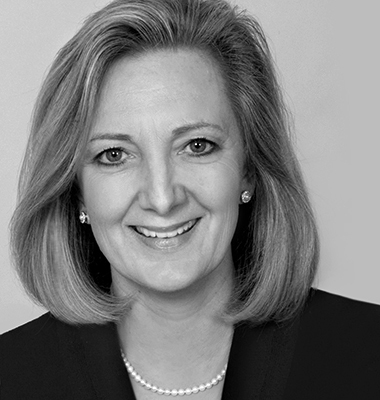 As a national recruiter and global director of Marriott’s University Relations and Property Management Staffing team, she partnered with leadership at academic institutions across the country and led a group that hired and developed 8,000 college graduates and interns to work across Marriott brands, including JW Marriott, Edition and The Ritz-Carlton hotels. Veden was one of four innovators who designed and implemented Marriott’s award-winning Global Voyager Leadership Development Program, architected to groom the next generation of company leaders. Before joining Forbes Travel Guide in 2015, Melanie Whitaker spent more than 10 years at Starwood Hotels and Dorchester Collection in the United States and Europe. During her tenure with Dorchester in Europe, she led the Learning and Development team that opened 45 Park Lane in London and Coworth Park in Ascot. Most recently, Whitaker served as the Director of Learning and Development for Dorchester Collection's hotels in Los Angeles and Beverly Hills. Whitaker holds a degree from Appalachian State University, where she studied hospitality and tourism management. She also holds certifications as a Myers-Briggs and FIRO-B practitioner and is a trained Gallup Strengthsfinder coach. Christine Yang is known for shaping world-class hospitality talent and building a service culture that reflects high standards. Launching her career in food and beverage at Shangri-La Hotel, Harbin in China, Yang later became the Training Manager and welcomed comprehensive responsibility for hotel training needs including development, implementation and evaluation of innovative programs. As the Director of Learning for The Ritz-Carlton, Guangzhou, Yang gained recognition for elevating service quality and driving employee engagement. She later worked at the Mandarin Oriental, Guangzhou and The Ritz-Carlton, Tianjin as Assistant Director of Human Resources. Most recently, she served as Director of Learning at Grand Hyatt Guangzhou. Micarl “Mica” Hill leads Brand Development at Forbes Travel Guide, and previously served as the Senior Vice President of Partner Services. Hill has a respected history in the hospitality industry spanning more than 35 years. In 1986, he was on the opening team of the Boston Harbor Hotel. Shortly thereafter, at age 28, he was named General Manager of the Huntington Hotel in San Francisco. He was later General Manager/Managing Director of six independent luxury hotels, and was Vice President, Operations for Woodside Hotels in Northern California. He spent seven years working for Preferred Hotels in a variety of roles overseeing one of five brands with emphasis on Europe, then as a Regional Managing Director. Before joining Forbes Travel Guide in 2012, he was the General Manager of the Mansion on Peachtree and instrumental in transitioning the property into the Mandarin Oriental, Atlanta. Hill is a graduate of California Polytechnic University, Pomona, with a degree in Hotel, Restaurant and Travel Management and was honored in 1991 as the Distinguished Alumnus of the Collins College of Hotel Management. 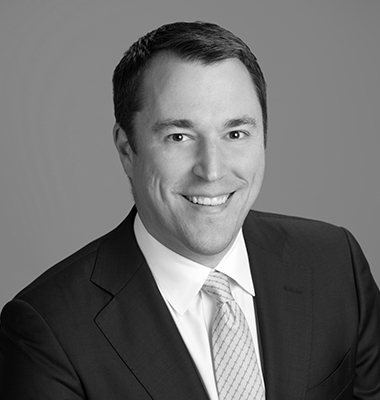 Scott Arnold is the executive vice president of licensing at Forbes Travel Guide and leads the global licensing efforts of the company in the hospitality marketplace. Previously, Arnold was the director of operations at HowStuffWorks.com, an award-wining online resource. Prior to HowStuffWorks.com, he served as the vice president of sales for the Western region for WebMD, the first health-care company to harness the power of the Internet to create a destination for consumers, health-care institutions and physicians to find trustworthy medical information. As executive vice president of operations for Forbes Travel Guide, Tom Flournoy is responsible for the performance and delivery of Rating evaluations, Quality Assessments, partner engagement, Training services and the development of the company's two websites: forbestravelguide.com and partner.forbestravelguide.com. Flournoy spent 17 years in the wireless and media industries, with more than 10 years in director and VP-level positions. Prior to joining Forbes Travel Guide in 2010, he worked at The Weather Channel, where among other executive roles, he was responsible for product, design and content of the award-winning weather.com. During this time, weather.com achieved and sustained a top-10 ranking of all websites worldwide. As Executive Vice President of Finance, Tony Hounshell brings nearly 20 years of executive leadership experience to work in guiding Forbes Travel Guide's overall financial strategy. His department oversees a breadth of functions, including accounting, finance, treasury and tax; financial planning, analysis and corporate development; human resources; and investor relations. Hounshell began his career in public accounting at a Big Four firm, later moving into advisory services at that firm and other global consultancies. 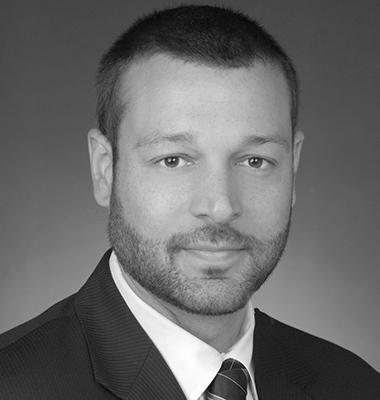 His advisory experience spans forensic, transaction, risk management and performance improvement services. He regularly assisted boards of directors, audit committees, management and their legal counsel to address significant and complex matters. Hounshell has worked in more than 25 countries across the Americas, Europe, the Middle East, Africa and Asia. He is a Certified Public Accountant and an active member of the American Institute of Certified Public Accountants. As senior vice president of product for Forbes Travel Guide, Laurel Mocklar brings 18 years of digital experience to the company's websites, forbestravelguide.com and partner.forbestravelguide.com. Mocklar manages the roadmap for developing both sites. Working closely with the software engineering team, she is responsible for translating consumer and client needs into elegant online products.